2 Bed, 2 Bath, AZ Room in SunBird Golf Resort, Chandler. 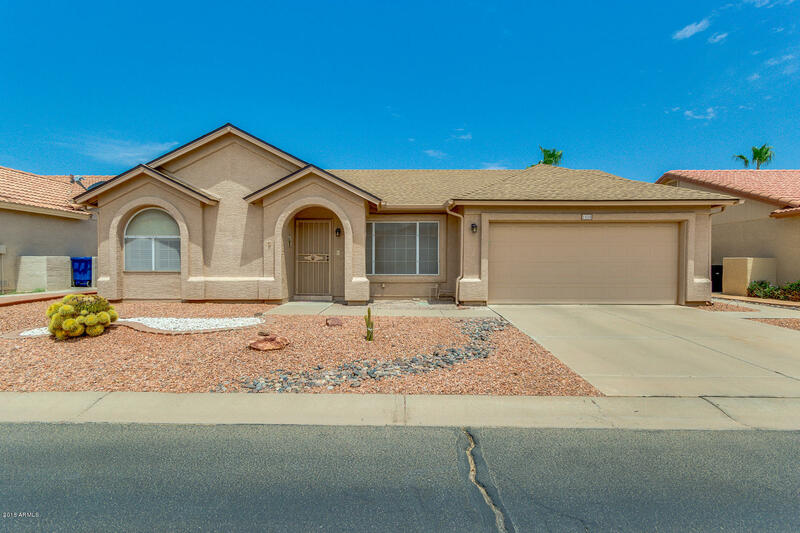 This is a Nice Well-Maintained Ventura model with an Open Floor Plan and Vaulted Ceilings. Enjoy your Large Arizona Room (12.5' x 13.5') with Dual Pane Vinyl Windows and Double Honey Comb Shades that open from Top or Bottom. Second Bedroom can be used as a Den or Office. Home Improvements: Replaced Dishwasher in 2018 and Stove in 2017, Water Softener, Reverse Osmosis, Storage Cabinets and Work Bench in Garage. Amenities: Post Office, Golf Course, Driving Range, 43,000 sqft Clubhouse, 7,600 sqft Ballroom, Restaurant, Bar, Heated Pool & Spa, Health Club, Billiards, Tennis, Pickleball & Bocce Ball Courts, Library, Lapidary, Ceramic & Craft Rooms, Bike/Walking Paths, Fishing Lakes & Horseshoes.